Saffron (or Crocus), known in Greece as Krokos Kozanis, has been used to treat more than 90 diseases for over 4,000 years. Below are just 8 reasons why you should use saffron more often. According to Mythology, when the gods of Zeus and Hera made love, the earth filled with flowering crocuses. Although crocus sativus has been known as a colourful first sign of spring, its mythical properties come from saffron leaves or filaments. Prehistoric caves in Iraq are decorated with paintings of 50,000 years old made with saffron dyes. Alexander the Great was having hot baths with saffron to heal his wounds from the battle. This spice in 1374 was even the cause of a war that lasted 14 weeks due to an act of piracy on a cargo ship involving 362 KG of this spice. Writings dated from the Hippocratic era reveal the use of saffron as a means for curing more than 90 diseases for over 4,000 years. During the plague epidemic, the demand for pharmaceutical saffron had skyrocketed. This exotic spice has been used for coughs, colds, stomach diseases, insomnia, uterine bleeding, scarlet fever, heart problems and flatulence. Is it all just a myth? Of course not. Modern research supports ancient wisdom. Saffron has been shown to form at least 22 biological pathways. Read just a few of the proven therapeutic benefits. Saffron relieves many psychiatric conditions. Doctors of Persian traditional medicine use it to treat depression while several studies confirm this practice. In a double-blind randomized, 6-week study, a comparison of saffron with the drug fluoxetine (Prozac) was performed. The researchers randomly selected 40 patients who were diagnosed with depression and administered either 30 mg of saffron or 20 mg of Prozac. The results showed that saffron was as effective as Prozac in mild to moderate depression. In another double-blind study published in the medical journal “Progress in Neuropsychopharmacology and Biological Psychiatry“, it turned out that saffron was just as effective as Prozac in treatingdepression. In this 8-week trial, 40 patients randomly received 15 mg of saffron or 10 mg of Prozac 2 times a day. Treatments gave similar results, and led to a 25% recession. Saffron has also been proven to be as effective as the drug for depression Imipramine (Trafanil) in mild to moderate depression and with less side effects. In a meta-analysis of 5 randomized studies, saffron was found to be effective in treating major depressive disorders in comparison to a placebo. In ancient Egypt, Cleopatra used a quarter of a cup of saffron in her hot baths before she met with men. It is said that she believed that the saffron made love more enjoyable. Perhaps she was right. Studies show that it is effective in treating erectile dysfunction. In one study, 20 patients with erectile dysfunction received 1200 mg capsule each morning. After just 10 days, the stiffness and swelling of the genitalia were significantly higher, with erections increasing in frequency and duration. In another study involving 50 men with diabetes, one group received topical saffron therapy and one topical placebo. The results showed that the gel with saffron significantly improved erectile dysfunction and the researchers proposed that the spice be considered as a therapeutic option for this particular condition. Saffron can alleviate the sexual dysfunction caused by Prozac. In a randomized, double-blind and placebo-controlled study, 36 men receiving Prozac also received either 15 mg of saffron or placebo 2 times a day. After 4 weeks, the group receiving saffron showed significantly greater improvement in erectile dysfunction and sexual satisfaction. 60% of the group showed rates of normal erectile function. It also improves the sexual problems caused by Prozac in women. In a randomized, double-blind, placebo-controlled study, 38 women who received Prozac complained of sexual dysfunction. They were treated with either a placebo or 30 mg saffron daily. After 4 weeks, the group receiving saffron scored significantly higher sexual performance, such as stimulation, lubrication and pain. Saffron contains a carotenoid called crocitin. In a study published in the journal, “Oncotarget“, researchers found that crocitinic acid, a pure compound derived from croketin, inhibits the growth of human pancreatic cancer cells either in the laboratory test tube or in tumors under the skin of the mice. The crocitinic acid significantly reduced the tumor growth by 75% compared to the control group of mice exhibiting a 250% increase in tumor growth. According to the researchers, it was so effective because it targeted pancreatic cancer stem cells that usually resist conventional treatments such as chemotherapy. The researchers observed that the dose of crocitinic acid needed to achieve the results were not at all toxic to normal human cells and stated that carotenoids are tolerated in high doses. Numerous studies supported their use in chemoprevention and chemotherapy. A study by Australia and Italian researchers have shown that saffron helps slow the progression of macular degeneration due to age (AMD) and improves vision. The researchers conducted a randomized, double-blind and placebo-controlled study in people with early macular degeneration. One group participating in the study was given a 20 mg saffron supplement daily. After just 90 days, the researchers noticed a significant improvement in the group. The researchers then examined a group of 29 patients from 55 to 85 years old at an early stage of AMD. 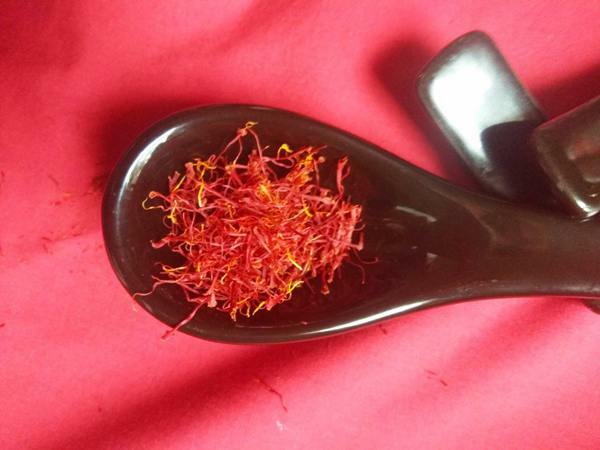 Patients received 20 mg of saffron daily as a supplement for about 14 months. Researchers have seen improvement in postmenopausal clinical signs. In addition, all patients reported an improvement in the quality of their eyesight. They noticed an improvement in color contrast and perception, reading ability and vision in low light conditions. All of this has been added to significantly improve the quality of life of patients. Researchers note that saffron contains crocine and crocetin, 2 antioxidant derivatives of carotenoids. Crocine protects photoreceptors from light-induced damage, while crocetin increases the availability of oxygen in the cells. Saffron is safe and effective in treating mild to moderate Alzheimer’s disease. In a randomized and placebo-controlled study, 46 Alzheimer patients received either placebo or 15 mg saffron 2 times a day. After 16 weeks, the second group showed significantly better cognition than the placebo group. In fact, saffron is just as effective as the medicine Donepezil (Aricept) fighting the disease. In a multi-center, randomized and double-blind controlled study, 54 Alzheimer patients received either 30 mg of saffron per day or 10 mg of Aricept. After 22 weeks, the group that received saffron had the same results as the Aricept group with less side effects. Saffron can significantly reduce the symptoms of metabolic syndrome. Middle Eastern researchers measured “heat shock proteins” (HSP) in 105 patients with metabolic syndrome. High levels of HSPs are associated with greater inflammation and a higher risk of metabolic syndrome, which can lead to diabetes, obesity and heart disease. Patients received either 100 mg a day of saffron or a placebo. After 3 months, some HSPs decreased significantly in those who received saffron. Saffron can help you lose weight. In a French study, researchers tried to administer safflower extract to 60 slightly overweight women. Women received either placebo or 176.5 mg of extract 2 times a day. After an 8-week period, caloric intake was left unrestricted. At the end of the study, the group receiving the extract showed a significantly greater reduction in body weight than the placebo group. Women who received saffron also reduced their snack consumption and had a greater sense of satiety. In a double-blind and placebo-controlled study, it was found that saffron relieves symptoms of premenstrual syndrome (PMS). PMS women received either a placebo or 30 mg of saffron every day for 2 months. The researchers concluded that saffron was effective in relieving the symptoms of PMS. 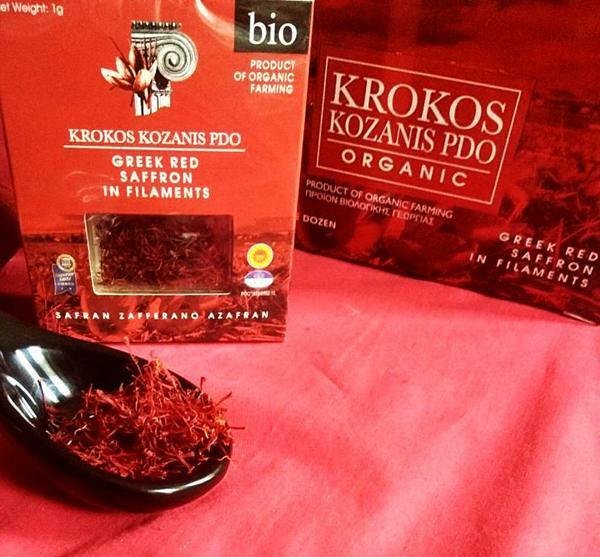 Use Krokos Kozanis at home! Saffron is known as the most valuable spice in the world. Its price ranges from $1,000 to $5,000 per half a kilo. The cost is high because it takes about 15,000 flowers to make just 1 kilogram of dried saffron filaments, while the harvest is painful. It has to be done entirely by hand during just 1 week a year. Fortunately, saffron is strong and you do not need a large dose. A pinch only – about 20 filaments – is as much as you need in most of your dishes. In fact, if you use too much, it may seem bitter to you. Avoid this particular spice in powder form. Instead, look for filaments. The powder is often diluted with poor quality or less expensive spices, such as turmeric. Soak the filaments in hot water or broth for 5 to 20 minutes. Thus, their oils and their perfume will be released. The filaments will continue to release colour and flavour for 24 hours. After soaking, you can use them in your recipe. Add saffronto risotto or other rice dishes. It also goes well with seafood dishes, such as bouillabaisse or paella, in a calf stew or tomato sauce. Store the saffron filaments in an airtight container away from sunlight. This way they will last for many years.